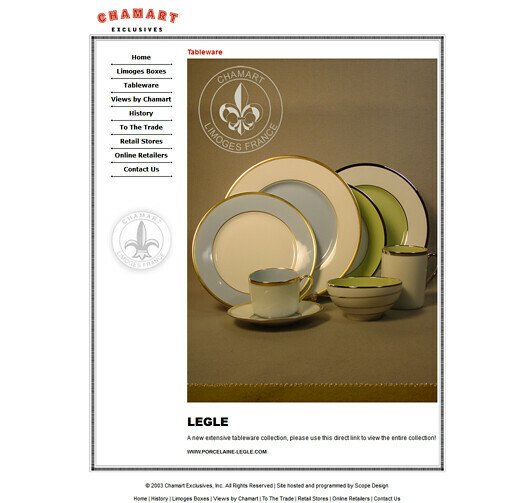 Chamart Limoges – Easily updated CMS website. 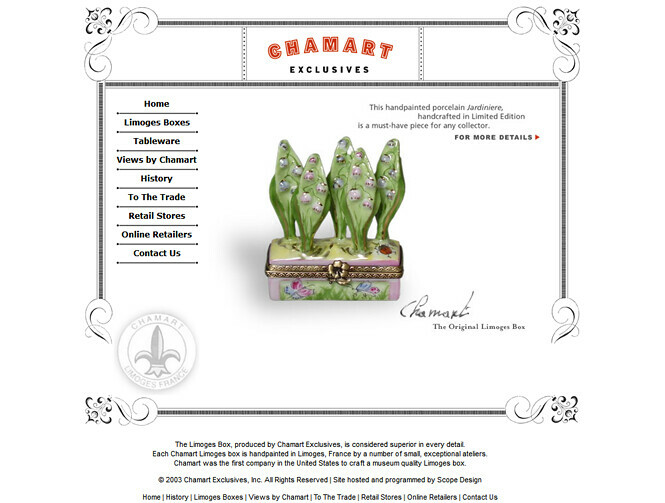 The Limoges Box, produced by Chamart Exclusives, is considered superior in every detail. Each Chamart Limoges box is handpainted in Limoges, France by a number of small, exceptional ateliers. 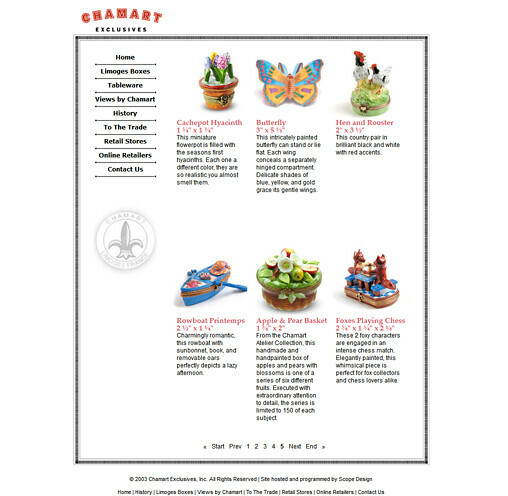 Chamart was the first company in the United States to craft a museum quality Limoges box. 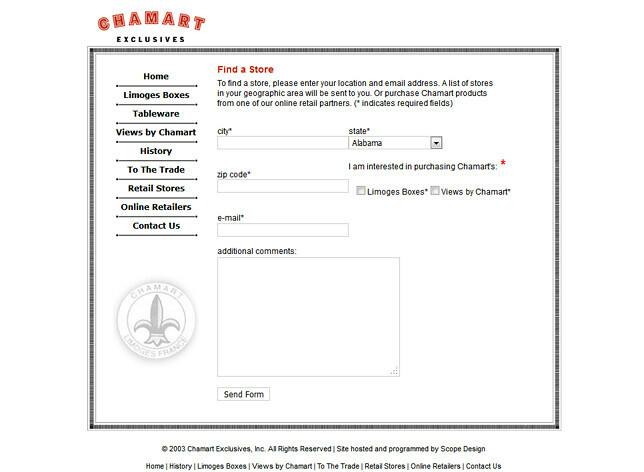 Please stop by this site chamartlimoges.com. portfolio_tags: Design, Graphic Design, and Joomla Development.